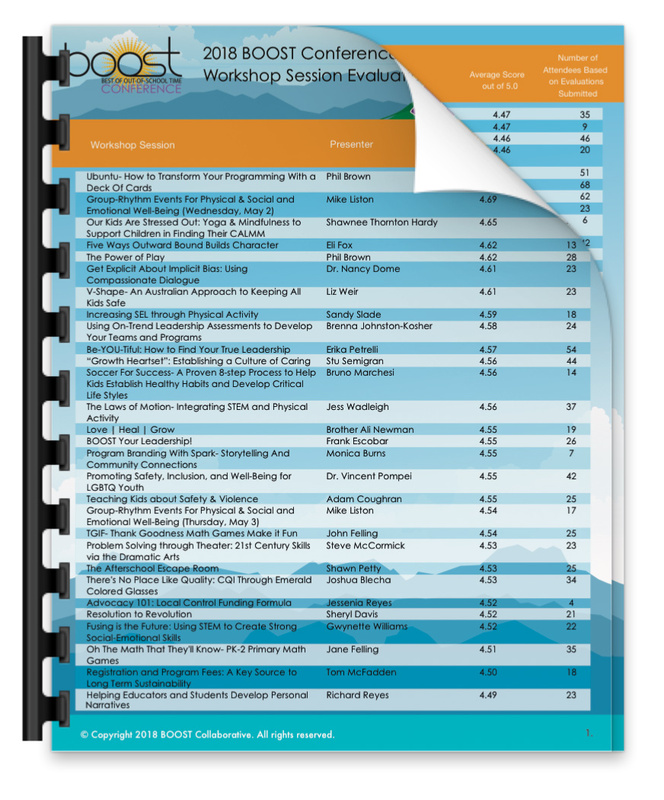 Highlights from the 2018 BOOST Conference including the conference brochure, survey, workshop evaluations, and workshop materials for download. 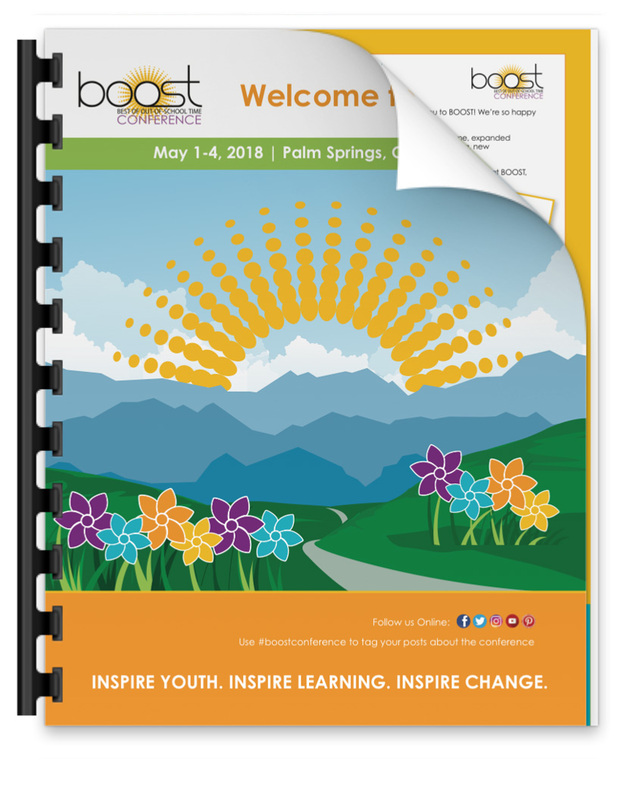 See what was offered at the 2018 BOOST Conference in Palm Springs, CA! Click the brochure below to download. Nikki Yamashiro, Director of Research, Afterschool Alliance, Washington, D.C.; Alexis Steines, Director of Field Outreach, Afterschool Alliance, Washington, D.C.
BTB Los Angeles - "PRIME PLUS": Priming and Refining Your Program Through CQI! "I'm an Exhibitionist...of Student Learning"
It's Time to Hit the G.Y.M.!!! Vincent Pompei, Ph.D., Director, Youth Well-Being Project, Human Rights Campaign, Washington, D.C.
Bruno Marchesi, Director of Strategic Expansion, U.S. Soccer Foundation, Washington, D.C.; Michael Vaughan Cherubin, Assistant Director of National & Regional Partnerships, U.S. Soccer Foundation, Washington, D.C.